Girls Scouts is a leadership development program that offers every girl a chance to practice a lifetime of leadership, adventure, and success by building girls of courage, confidence, and character. High school leadership program that looks to improve leadership and character skills as well as a focus on community development. 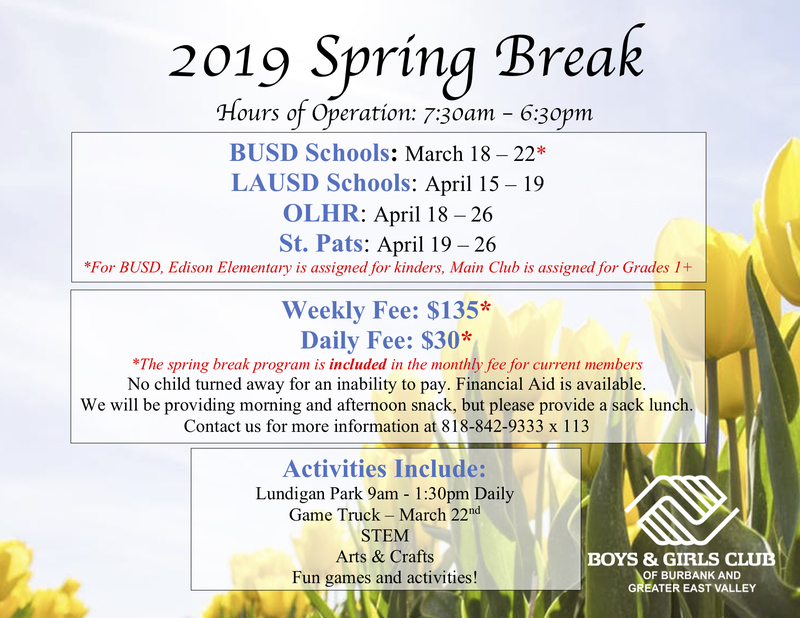 Sponsored by the Burbank Sunrise Kiwanis, K-Kids learn leadership through service, taking on the responsibility of running a K-Kids club as they plan and participate in community service projects serving their schools and community. The Million Members, Million Hours of Service initiative aims to engage 1 million Boys & Girls Club youth in service projects each year, with each donating at least one hour of service. leadership skills, and understanding of team dynamics. Torch Clubs are chartered, small-group leadership and service clubs for boys and girls ages 11-13. A Torch Club is a powerful vehicle that helps Club staff meet the special character development needs of younger adolescents at a critical stage in their life. National B&G Club program that seeks to identify outstanding High School students with a focus on club impact, character growth, academics, community engagement, and leadership.